This list of the 30 best contracts in the NBA also includes a pretty impressive collection of talent. The NBA’s impending salary cap jump has prompted a spending spree unlike any the league has ever seen. Any contract signed this summer will look very different under the headroom of a projected $89 million salary cap in 2016-17 and projected $108 million cap in 2017-18. That perspective has encouraged teams to spend big as a means to get their first options in free agency, even beyond the standards set in previous seasons. The numbers being tossed around—some upwards of $100 million—have naturally drawn some to existing contracts as points of comparison. Let’s not get things backward: Those deals signed this summer are indicative of the NBA’s new reality. Everything previous came from an entirely different salary cap climate, and to use those contracts as a means to critique these latest deals ignores the entirety of context. That, of course, doesn’t make those preexisting deals any less of a relative bargain. Those teams that had already signed good players to smart deals will benefit just the same from the cap surge, as every signed player will take up a proportionally smaller cut of a team’s room under the cap in coming seasons. Below is a survey of the best of those contracts—most old, some new—based on the value they present moving forward. • MORE NBA: Did Jordan make right move? | Grades | What players are left? Note: For obvious reasons, rookie-scale deals are not included here. It’s understood that Anthony Davis (whose extension doesn’t kick in until next season) is a bargain at $7.1 million, as are Andre Drummond at $3.3 million and Rudy Gobert at $1.2 million. This is a collection of the 30 best contracts in the league that were actually negotiated independent of the confines of rookie scale. The terms are irrelevant. There is not a contract that the Cavaliers could legally give James under the CBA that would compensate him fairly. He’s that valuable—as a player, as a draw, and as the bedrock of Cleveland’s resurgence. The joint fact that Harden signed a max rookie extension under a much lower salary cap without qualifying for a “Rose rule” salary bump yielded a value deal for a growing superstar. Harden will make a very reasonable $15.8 million next season and top out at $17.8 million in 2017-18, when the salary cap could well be above $100 million. The proportional value of all pre-bump deals will skyrocket along with the cap. Harden’s deal, though, will be more valuable than most for its delivery of an MVP candidate in his prime on such team-friendly terms. It took a trajectory-defying ascent for Butler to make his new contract a no-brainer and, by extension, a great value. The five-year term seals it. Butler, on the tail end of his prime, will be making a touch over $20 million at a time when the max will be so much higher. To lock in that number now for such a proficient two-way player empowers both this current Chicago core and the next. Eighteen NBA player will draw a bigger salary than Westbrook next season. Eighteen. Another maximum rookie extension aging well. Wall, who will be just 25 at the start of the season, is just a year into the five-year agreement he forged with the Wizards in 2013. From the time his extension was agreed upon and finally kicked in, Wall’s game had grown. It’s matured even more in the year since, elevating Wall’s two-way appeal and fully validating Washington’s tagging of Wall as their designated player. At the time of its signing, smart basketball people could reasonably disagree as to whether Cousins was a max player. That argument is dead and buried, put to rest eternal by Cousins’s rampage in the years since. He can be difficult, even troublesome. But there’s no mistaking that he’s worth every penny of his current contract by way of overwhelming offense, elite rebounding, and surprisingly obstructive defense. Leonard had a golden opportunity this summer to leverage the Spurs into a shorter-term deal to maximize his earnings if that was his preference. Instead he committed for the full five years with a contract that, at its conclusion, projects to be even more of a bargain than it is now. The current market is so artificially limited that Leonard agreed to a deal for the maximum possible value and yet still agreed to team-favorable terms in light of the rising cap. Leonard’s deal, along with the other five-year agreements made this summer, will soon be relics of a different world. 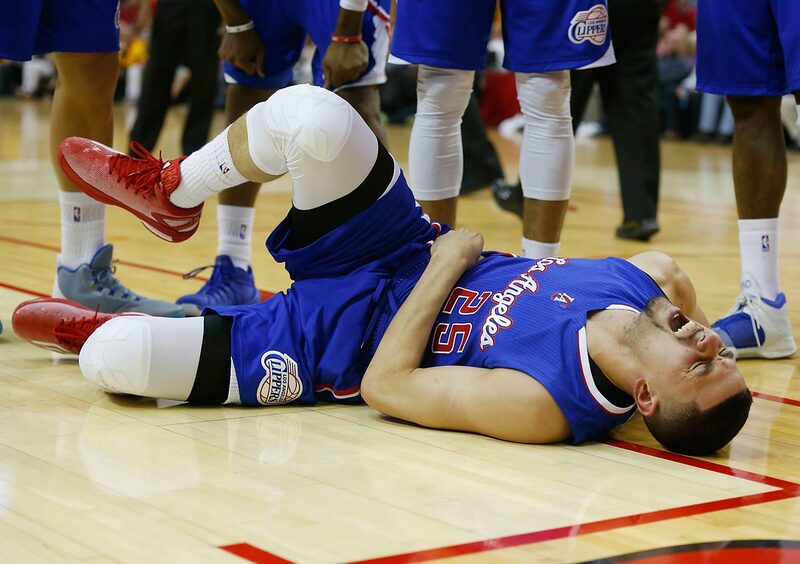 The life of his current contract will likely capture the best seasons of Griffin’s career. That’s a precious thing in the case of a player this talented, a forward whose range of ability makes him as much a threat to orchestrate a fast break as grind down opponents in the post. 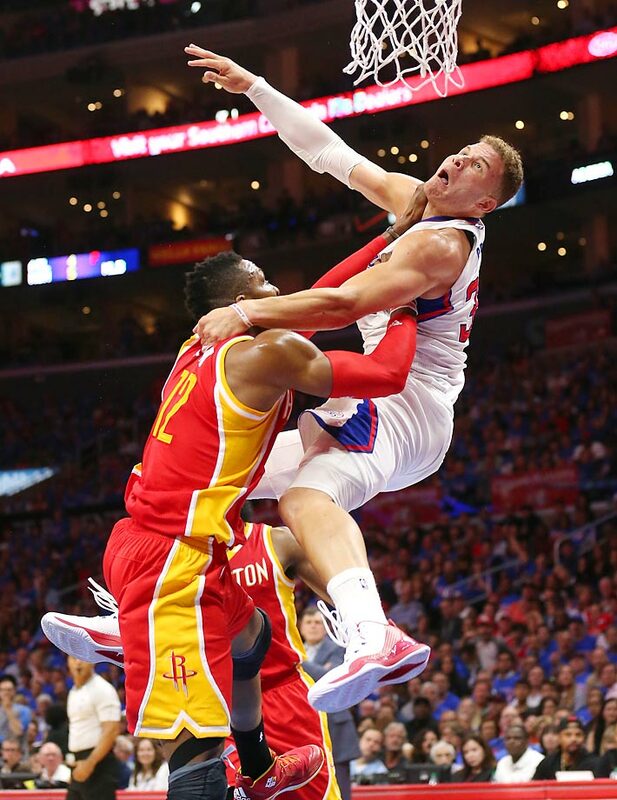 Griffin averaged 22.4 points, 7.8 rebounds, and 5.8 assists per 36 minutes in what many considered a down year. That would be absurd if not for the fact that Griffin’s own standards have engendered that absurdity. Irving isn’t as complete a player as the aforementioned superstars, but earns a place on this list with his age (23), the length of his deal, and the tea leaves of his development last season. We’ve now seen Irving operate at elevated efficiency (with more competitive defense) in the context of a winning team. He was well worth his max extension as it was, but now projects to have one of the best superstar deals in the league by 2017. 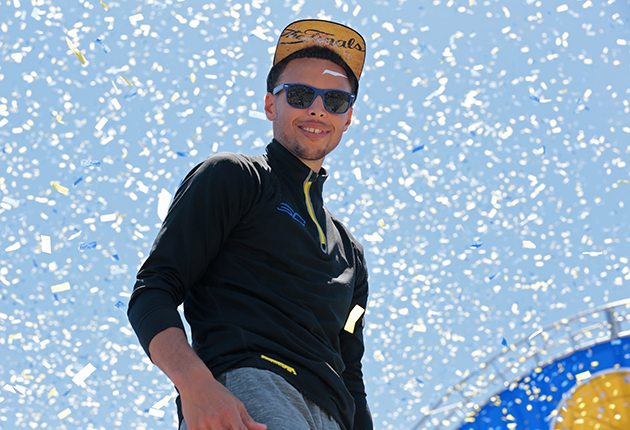 Yes, 2012 was a different time and Curry was a different player. Any team in the league would kill to have one of the best shooters in the game on this salary. Many could have through less homicidal means; Korver was first traded to Atlanta by Chicago for cash and later re-signed on a very reasonable four-year, $24 million deal. Credit the Hawks for both signing Korver to that kind of salary and playing in a way that proved his value beyond doubt. Although we’re still waiting on the specifics of Duncan’s next contract, San Antonio’s cap situation (after accounting for LaMarcus Aldridge’s max, the cap holds of Kawhi Leonard and Danny Green, and minimum-salary placeholders) only allows them to pay Duncan $5-7 million next season. That’s not exactly the market rate for one of the best two-way bigs in basketball. It’s only fitting that Nowitzki’s financial path would be so similar to Duncan’s. Both have given up millions to allow their respective franchises to make defining moves, the latest of which gave Dallas a shot at adding DeAndre Jordan. That wouldn’t be possible if Dirk had demanded to re-sign with the Mavs at his market value. Although belief in the validity of Whiteside’s personal renaissance varies, there’s only so much room to argue around the numbers he put up last season (11.8 points, 10 rebounds, and 2.6 blocks per game) in limited minutes. This is the jackpot. Able seven-footers are still the NBA’s most expensive commodity. To find one this productive at the minimum salary is unprecedented in modern NBA history, making Whiteside’s contract—however problematic it might be for Miami in the future—a singular gem. The rub in signing a minimum-salary player to a one-year deal is that it affords the team no protection against that player exceeding expectations. Best-case performance leads to a more competitive free agency the following summer, resulting in either a significant pay bump from the incumbent team or the departure of the player. ​Sixers GM Sam Hinkie has little interest in prospecting for talent on those terms. Rather than sign young players of interest to one-year deals, the Sixers push for multi-year agreements that maximize the team’s flexibility. Covington is the most successful example of that contract type yet—a worthy, developing rotation player on the single best contract in the league. It’s incredibly cheap, for starters; nearly 300 NBA players will make more money next season than Covington ($1 million) despite his breakout shooting season for Philadelphia. That wage is a terrific rate for a floor-spacing forward, flaws and all. The kicker is in the guarantees. Covington’s contract is constructed in such a way that it essentially gives the Sixers three consecutive team options with even more flexible deadlines. The final season of Covington’s deal is an actual team option, to be exercised in the early offseason. For both the 2015-16 and 2016-17 seasons, however, Covington will play at a bargain salary that is wholly guaranteed. Philadelphia could release Covington at any time up until that season’s January guarantee deadline at no future cost. With terms like those, Covington doesn’t need to be great. So long as he’s useful, his contract—which is somehow both cheaper and more flexible than standard rookie scale—makes him one of the best values in the league. West, who turned down a $12.6 million player option with the Pacers, is on this list because he made winning a title a personal priority and—as many do—favored the workplace conditions with the Spurs. No franchise more consistently inspires quality players to leave money on the table. Morris has a game almost completely devoid of flash: He works the intermediate game, he’s only a solid scorer, and his defense is almost impressively devoid of any shot-blocking. Closer inspection, however, shows Morris to be a quality starter making far less than he should. Other power forwards make well into eight figures without the same functionality. To an offense, Morris is a strong post player and smart passer with some stretch to his game. To a defense, he’s a mobile, sensible contributor who guards his man well and responds in rotation. That package of attributes is worth well more than $8 million in annual salary on the current market, much less over the next three seasons. Morris’ contract structure is a nice bonus for the Suns, too: Its value dips from $8 million in 2015-16 to just $7.4 million in 2016-17, giving Phoenix an extra bit of wiggle room under the cap. 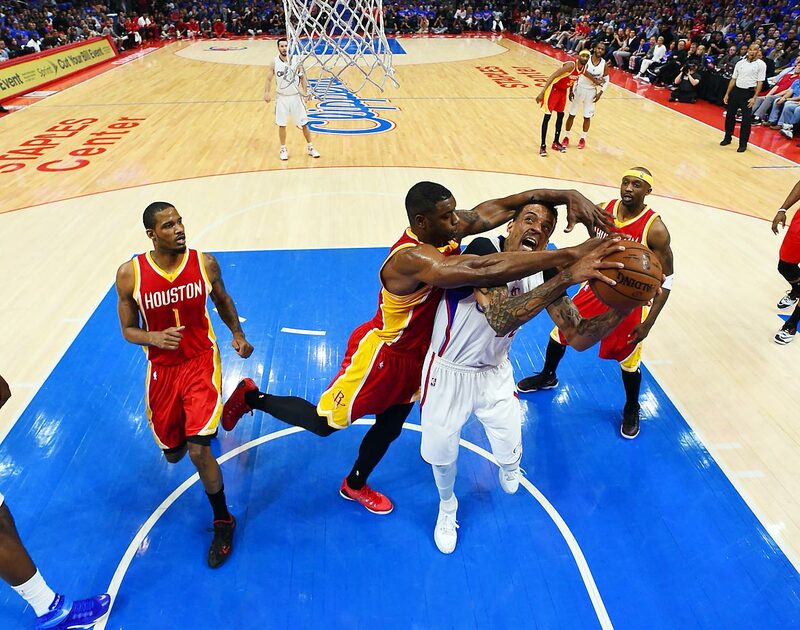 Ariza’s smothering, multi-positional defense borders on All-NBA caliber. Any player with that kind of preventative power and even marginal offensive skill generally works out to be a net positive—​Ariza even more so based on his three-point shooting competence and role in creating supplemental offense. Houston’s choice to sign Ariza rather than match Dallas’ lucrative offer sheet to Chandler Parsons last summer has worked out for the best, in part because of Ariza’s moderate salary relative to other quality wings. Mozgov’s slow climb up the depth chart under George Karl made it possible for Denver to re-sign the seven-footer to a three-year deal worth just $14 million back in 2013. They underpaid significantly, as it turns out; Mozgov has been a per-minute monster over the last several seasons, and put those contributions to best effect while playing for a talented Cleveland team. Bulk-rebounding rim protectors with a functional offensive game don’t come cheap. Mozgov somehow did, and the Cavaliers—who will wade deep into the luxury tax this season—stand to save millions for it. The same offseason environment that promised $20 million over three years (including a player option!) to Aron Baynes somehow gave a lesser deal to Wright. It’s a discount contract by his own admission, though it’s the Grizzlies that ultimately benefit most from Wright’s interest in returning to Tennessee. Mills’ unrestricted free agency coincided with significant injury in a way that gave San Antonio a tremendous deal. Score-first, waterbug point guards of Mills’ quality can generally pull salaries starting at the mid-level exception. He makes nearly half that with a flat $3.6 million salary this season and next—the kind of bargain that allows the Spurs to squeeze a maxed-out free agent like LaMarcus Aldridge in under the cap. Not everyone will appreciate the wild charms of Johnson’s game, but he gives Toronto an impressive return on his every minute played and dollar earned. He’s all over the place—snatching rebounds, sprinting in transition, feasting in the passing lanes, finishing strong, obliterating opponents’ shots—including some places his coaches would rather he not be. What you sacrifice in reliability with Johnson you make up for in pure versatility. This is a league where the ability to cover ground and make impact plays means everything. Johnson has that much covered, even if he sometimes veers out of control in the process. Mirotic waited long enough between his drafting (2011) and his arrival in the NBA (2014) that he was no longer bound by rookie scale. That said, his inclusion on this list is by technicality; the fact that Chicago owned Mirotic’s draft rights meant that no other NBA team was eligible to sign him in free agency, exempting the Bulls from any domestic market influence. He might not technically be on a rookie-scale deal, but the conditions of his signing were similar enough to get Chicago a very agreeable contract. 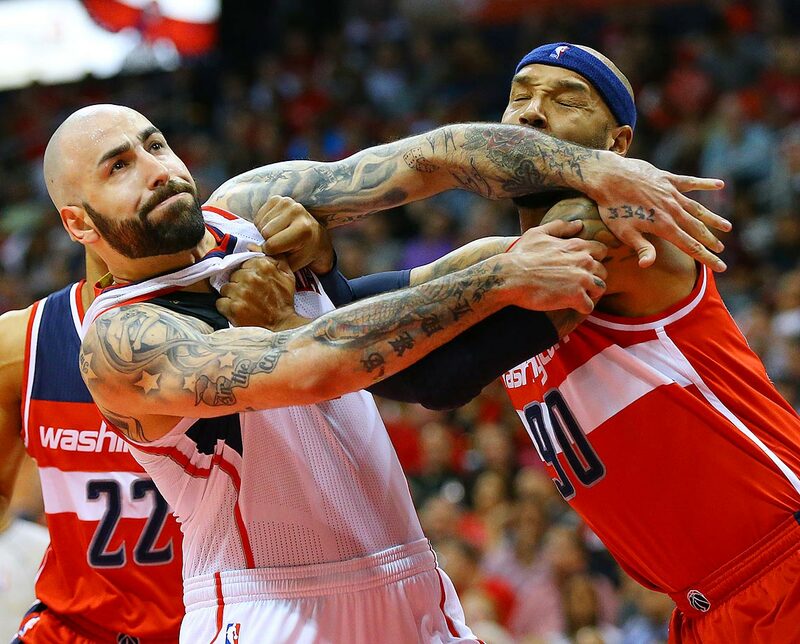 Hawks' Pero Antic and Wizards' Drew Gooden. 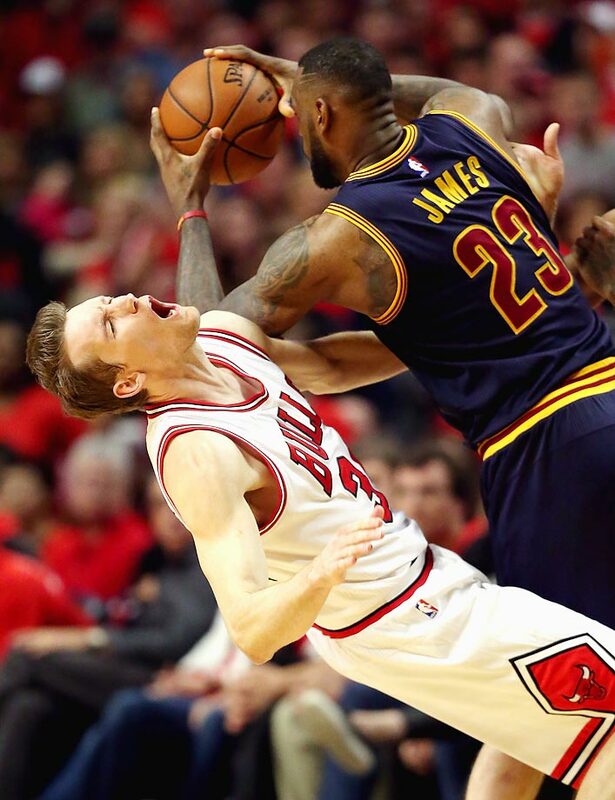 Cavaliers' LeBron James and Bulls' Mike Dunleavy. Clippers' Matt Barnes and Spurs' Manu Ginobili. 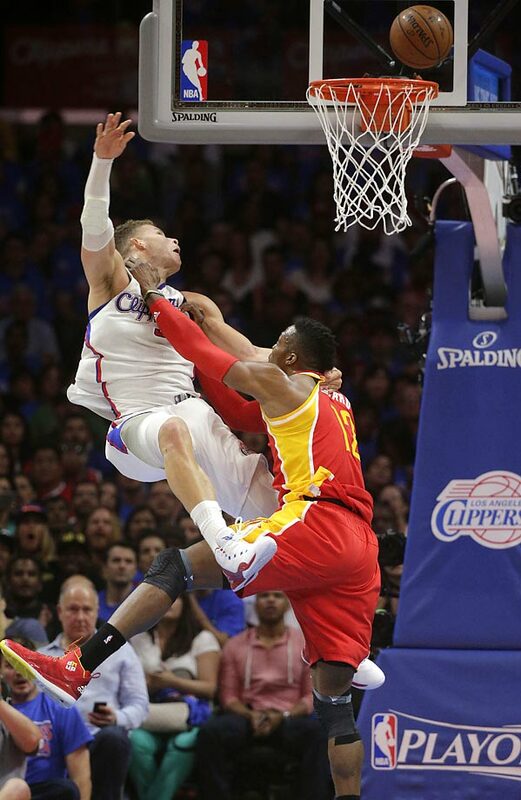 Clippers' Blake Griffin and Rockets' Dwight Howard. 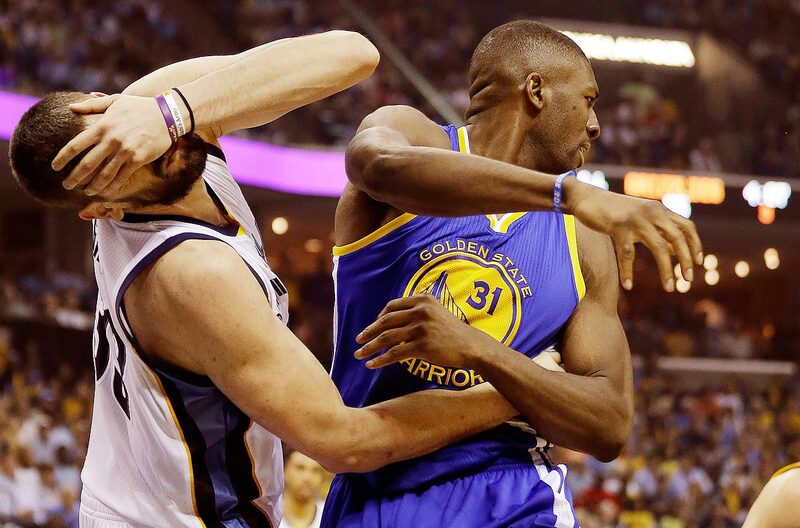 Grizzlies' Marc Gasol and Warriors' Festus Ezeli. 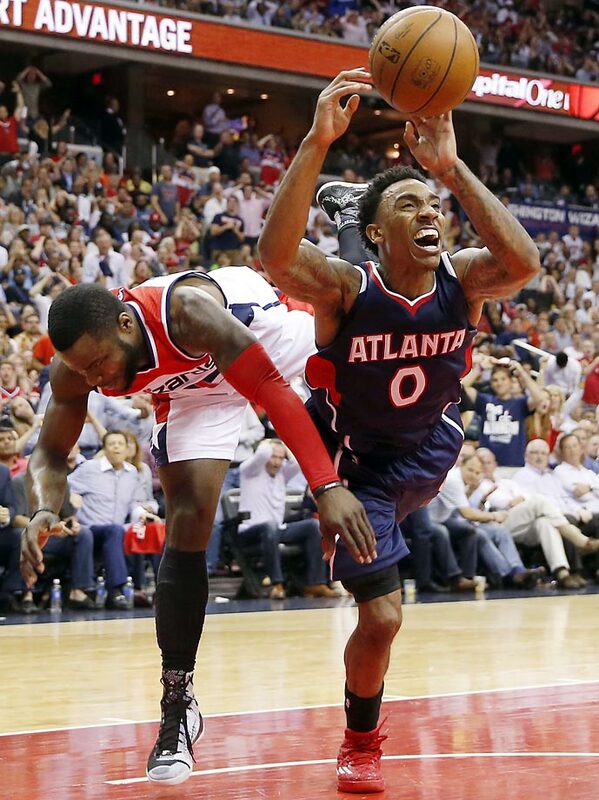 Hawks' Jeff Teague and Wizards' Will Bynum. 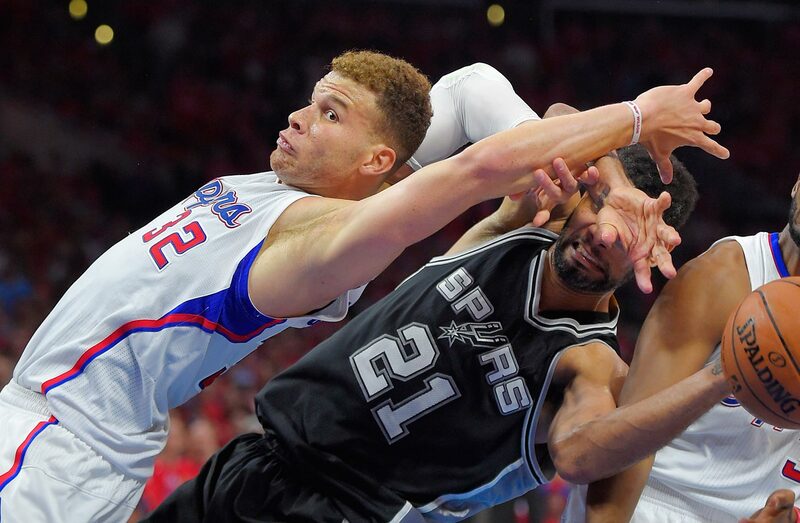 Clippers' Blake Griffin and Spurs' Tim Duncan. 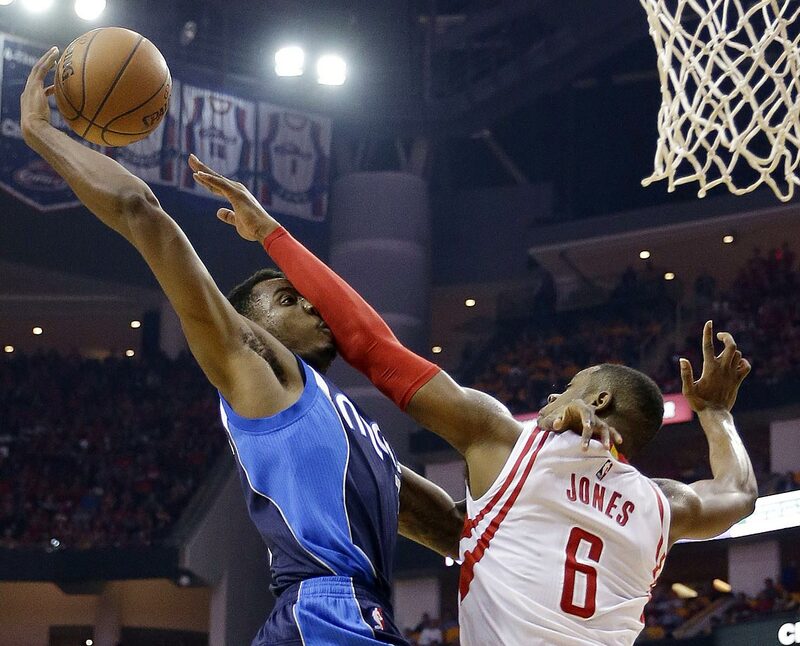 Mavericks' Al-Farouq Aminu and Rockets' Terrence Jones. Clippers' Austin Rivers and Spurs' Tim Duncan. Matt Barnes of the Clippers. 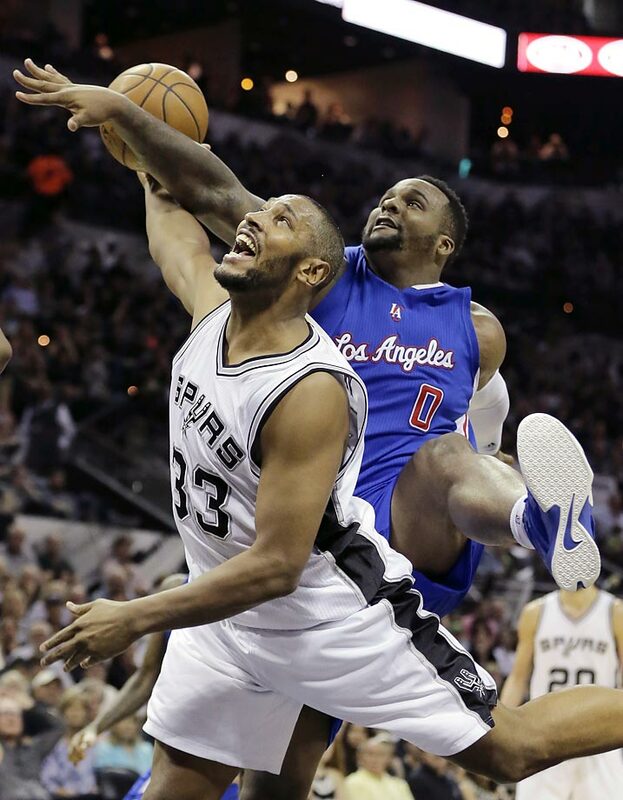 Spurs' Boris Diaw and Clippers' Glen Davis. 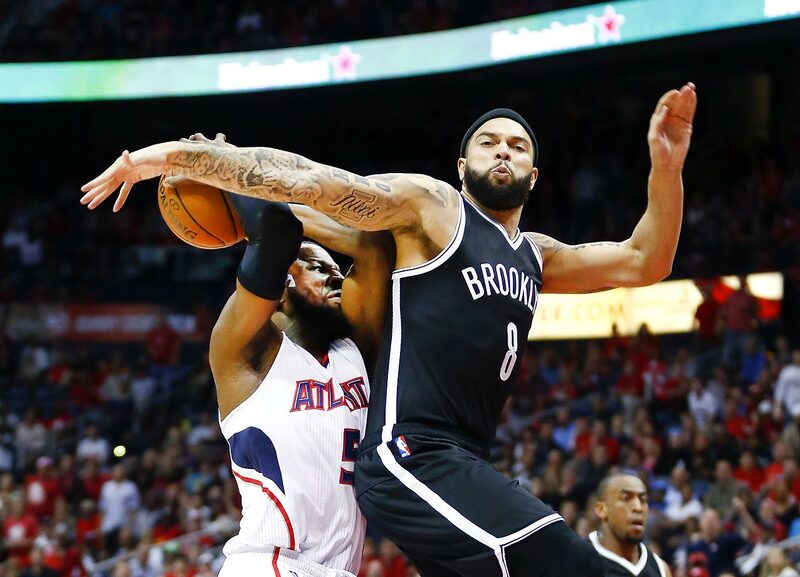 Hawks' DeMarre Carroll and Nets' Deron Williams. 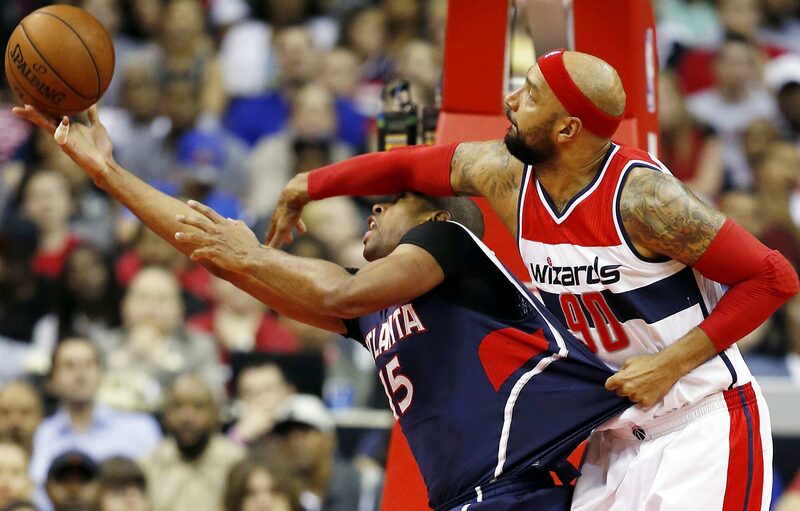 Wizards' Drew Gooden and Hawks' Al Horford. 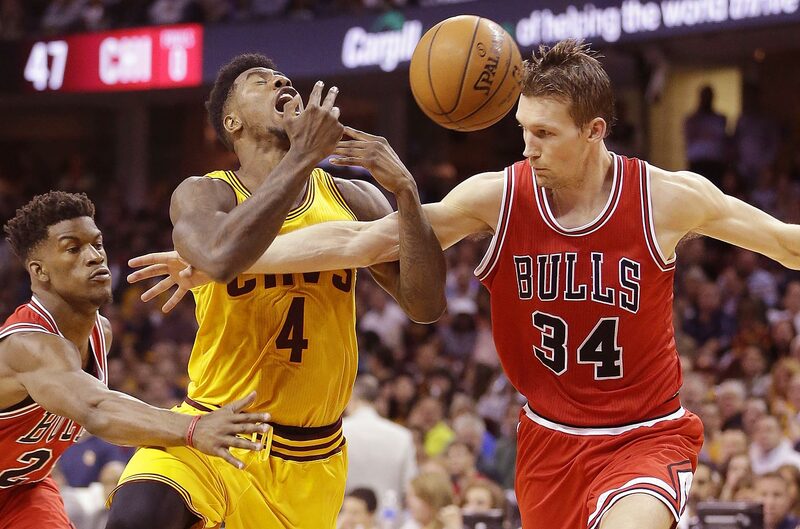 Cavaliers' Iman Shumpert and Bulls' Jimmy Butler and Mike Dunleavy. 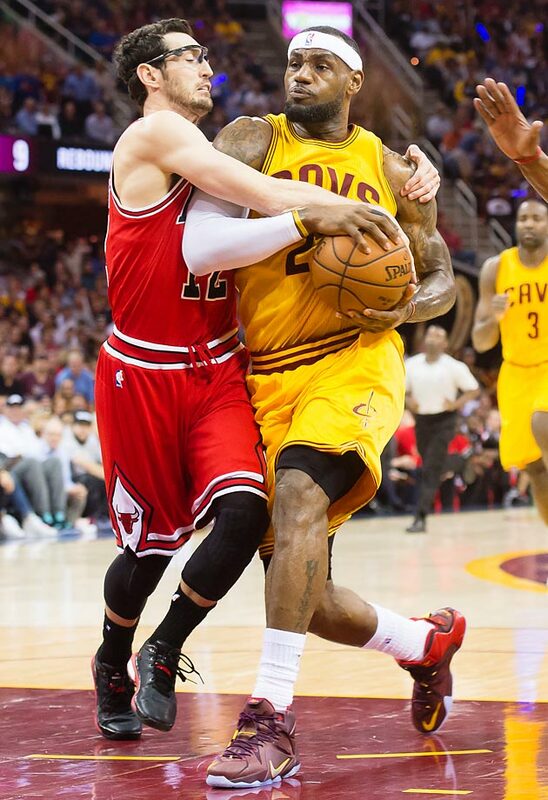 Bulls' Kirk Hinrich and Cavaliers' LeBron James. 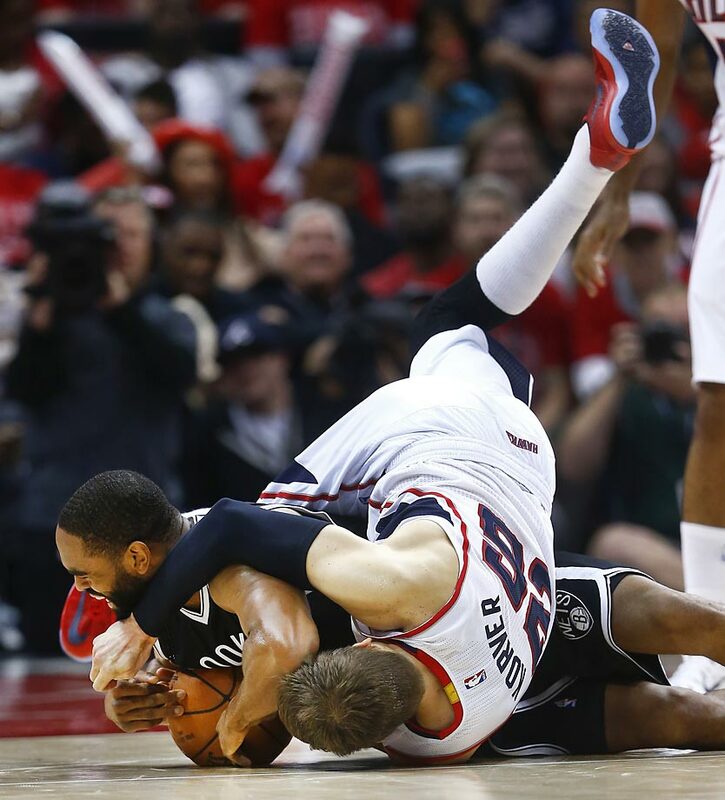 Atlanta Hawks' Kyle Korver and Nets' Alan Anderson. 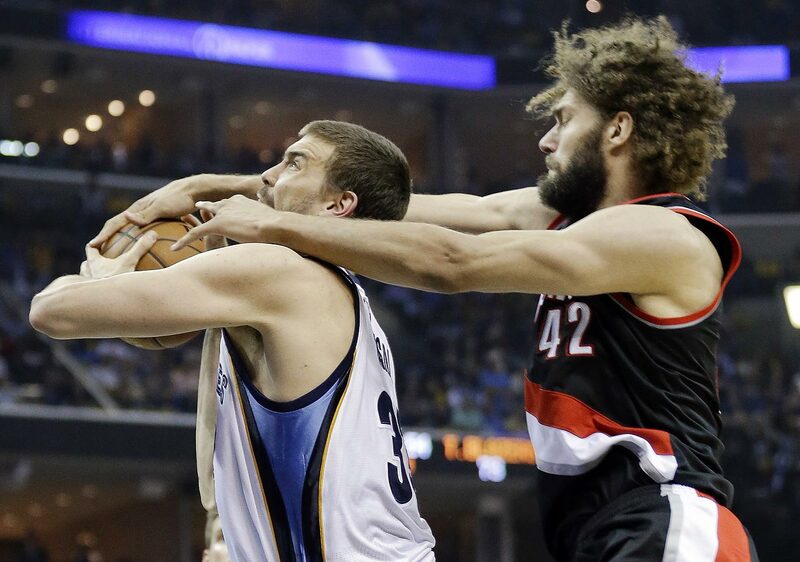 Trail Blazers' Robin Lopez and Grizzlies' Marc Gasol. 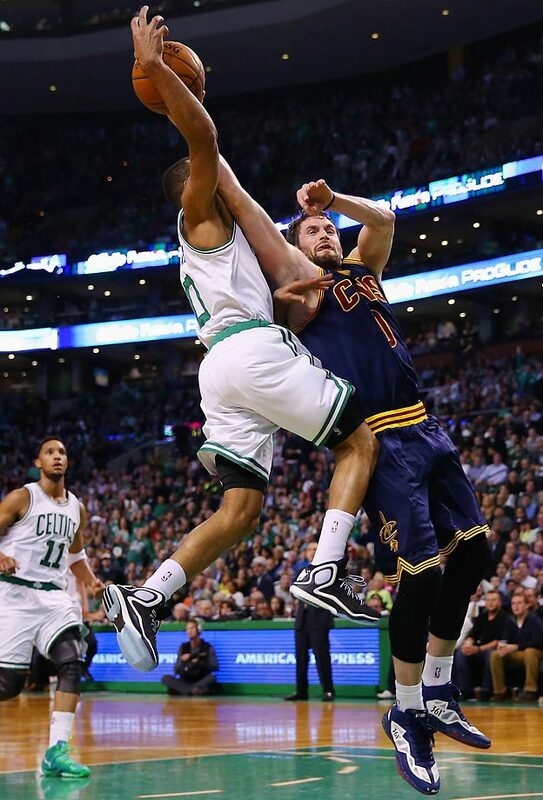 Cavaliers' Kevin Love and Celtics' Avery Bradley. 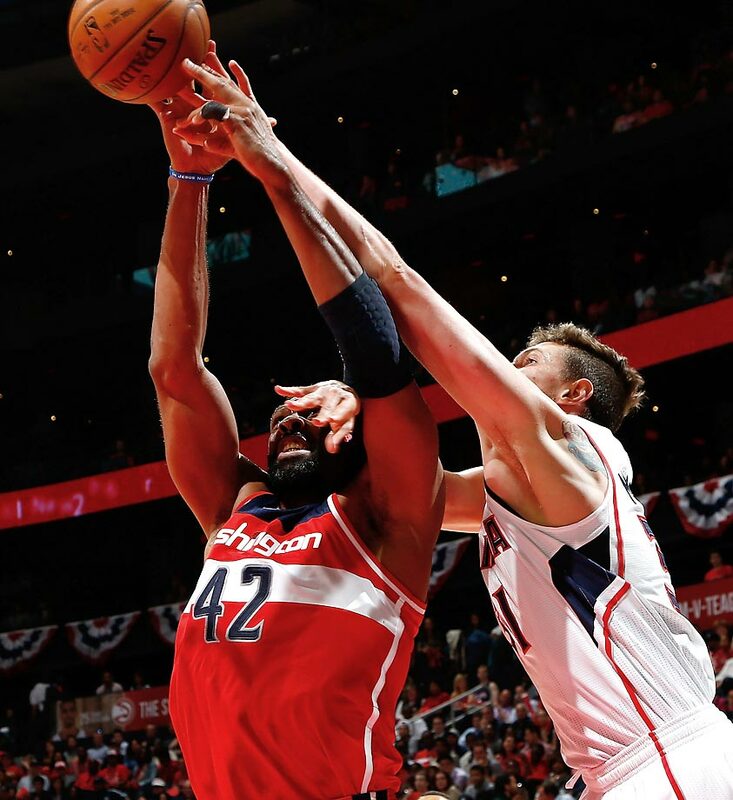 Wizards' Nene Hilario and Hawks' Mike Muscala. 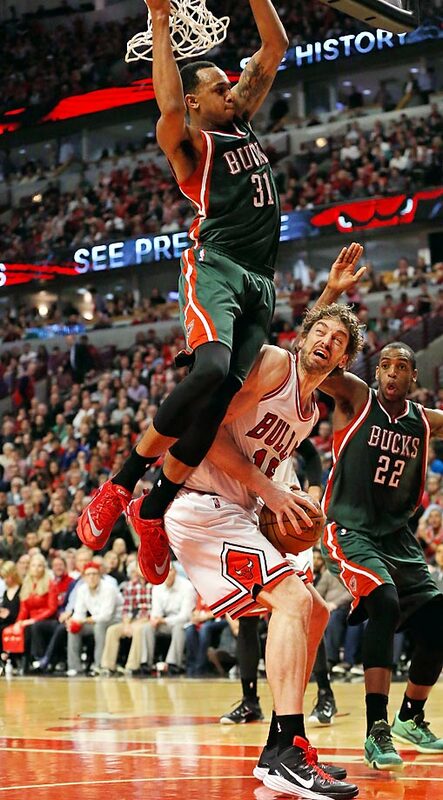 Bucks' John Henson and Bulls' Pau Gasol. Celtics' Isaiah Thomas and Cavaliers' Matthew Dellavedova. 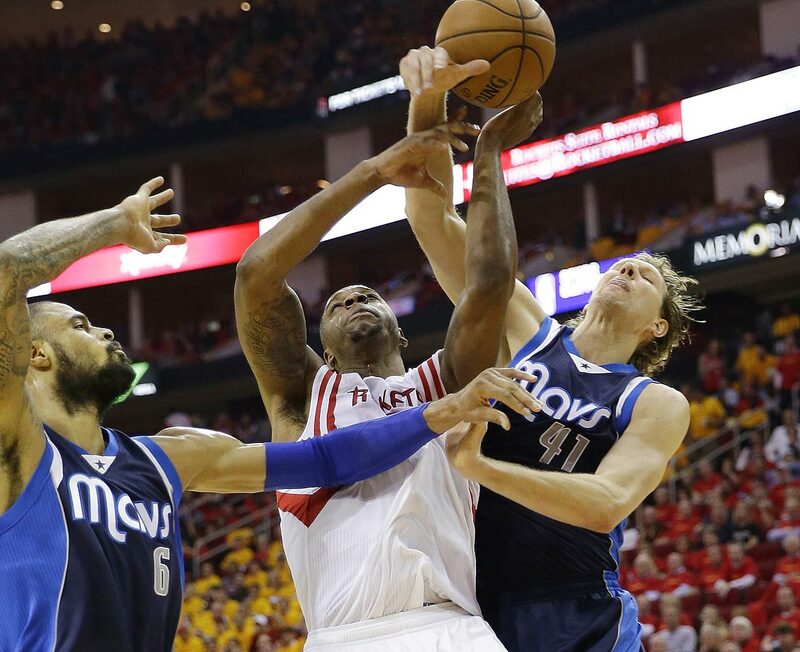 Rockets' Terrence Jones and Mavericks' Dirk Nowitzki. 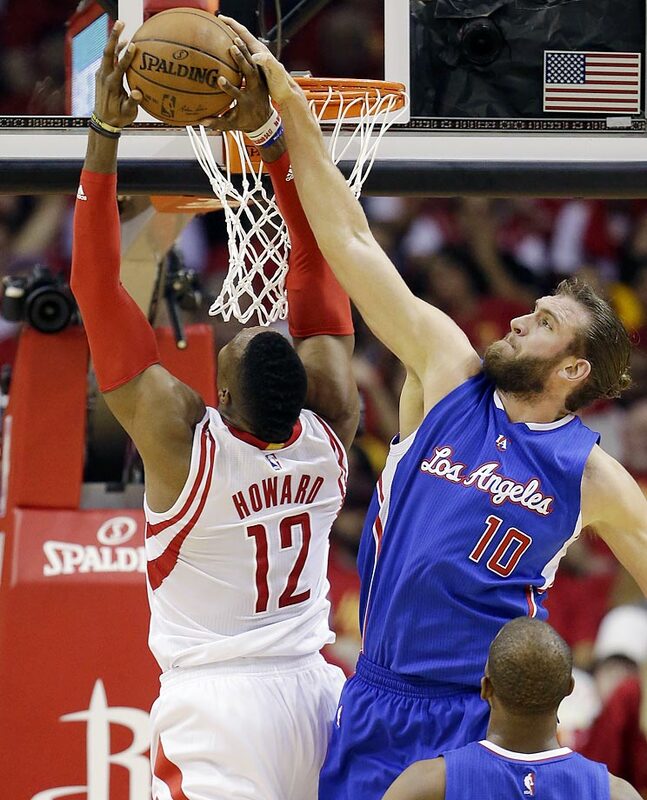 Rockets' Dwight Howard and Clippers' Spencer Hawes. 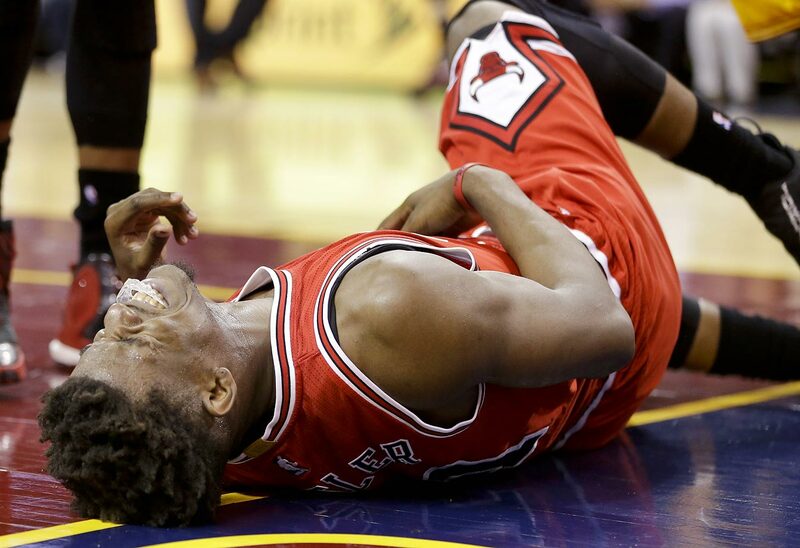 Jimmy Butler of the Chicago Bulls is fouled by the Cavs. Milwaukee struck fast in Middleton’s restricted free agency to sign the 23-year-old wing to the longest deal possible at an amount well below the max. On this summer’s market, that’s a win; any contract lasting well into the boom of the salary cap will be increasingly economical, assuming that Middleton continues to build on his strong play from last season. We have good reason to think he will. Middleton had already begun to expand his off-the-dribble game for the offense-starved Bucks last season. As those skills mature, Middleton—already a strong perimeter defender and excellent shooter—could grow into an ideal support player. The precision of San Antonio’s offseason cannot be overstated. Their pursuit of LaMarcus Aldridge was dependent on several factors: Among them, the willingness of Tim Duncan and Manu Ginobili to take a specific kind of paycut, the ability to dump enough salary to create the cap room necessary, and the compliance of Leonard and Green to agree to quick deals in a particular range that would allow the Spurs a clearer cap picture. Green could have cashed in for far more or tried to wring a bigger deal out of San Antonio. He ultimately agreed, instead, to a contract that looks great now and stands to age well. There are precious few players in the league who can both block shots and shoot threes at an NBA level. Ibaka does both well enough (while rebounding, covering the floor in the pick-and-roll, and scoring on cuts and put-backs) to qualify him as a perennial All-Star candidate, even if he has yet to make the team. Rest assured that the rarity of his intersection of skills will go very well compensated in his next round of free agency. 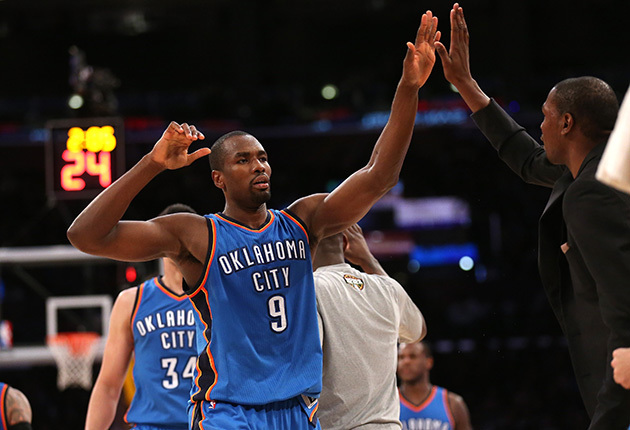 The NBA has wised up to the value of players like Ibaka, who are critical in maintaining the space of a four-out system without the concessions in defense and rebounding. Once more, with feeling: Al Horford is a superstar. The benefits of that stardom might manifest differently from those who trade in bulk scoring, but the flexibility Horford affords is, on balance, no less valuable. It’s crazy to think that Conley, now one of the steadiest point guards in the game, once seemed like a stretch at the time of his five-year, $40 million extension. What’s changed most is his level of control. Conley is now the kind of point guard who could run a wide variety of offenses capably, whether by running dribble hand-offs and post-ups as Memphis does, in a system with a bigger pick-and-roll emphasis, or in a read-and-react offense that draws from flex principles. Conley’s sharp decision-making makes it all possible, and—in conjunction with stingy perimeter defense—has bolstered the value of his extension with time. In 2013, the Bucks signed Teague (then a restricted free agent) to an offer sheet they thought might make the Hawks blink. Atlanta shrugged and matched without much hesitation, committing to pick up four years of flat $8 million salary to an up-and-coming guard. It’s worked out quite well. Teague is still miles removed from the point guard elite, though his salary is so accommodating that his relative standing hardly matters. Limitations can be accounted for when a player is on a contract like this one. Atlanta, too, gets the added benefit of seeing where Teague’s career takes him as his game settles. This is a riskier deal than most on this list, though the return on peak Lowry helps to mitigate it. At his best (and his healthiest), Lowry is one of the top engines for offense in the game. He drives with a force that isolates and overwhelms his defender and sees the floor well enough to capitalize on help rotations. On effort alone he’s valuable; Lowry can’t help but fight for every inch. Package in notable skill as a shooter and playmaker and you have one of the best all-around creators at his position. Salary information provided by Basketball Insiders.